Download Absolutely Free Grill Guides | The Perfect Steak Co. | The Perfect Steak Co. Grab These Handy Grill Guides – They’re Free! Here is a brief description of each of the 4 Grill Guides. Scroll down to the bottom of the page and enter your name and email to download them. 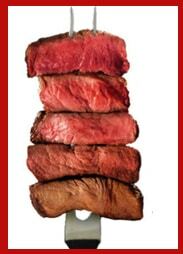 The Doneness Guide: This chart shows the various levels of doneness of a steak from Rare to Well-done. It’s really handy to help choose how well you want your steak done. 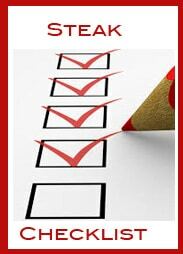 The Preparation Checklist: Being organised with all the tools to hand makes cooking the perfect steak stress free and easy. We’ve done this simple checklist to help remind you what you’ll need to get ready before you start cooking. It’s pretty simple but trust us, it will come in handy. 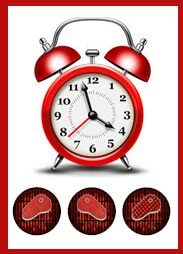 The Double Timing Chart: This chart gives you all the timings you’ll need to cook your steak to perfection. It tells you when to turn the steak and when to remove. If you’ve read our book, Your Perfect Steak, you’ll understand the difference between the Twist and Turn Method and the Standard Method. 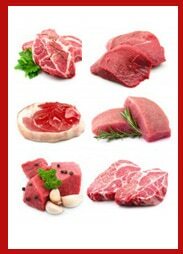 Prime Cuts Chart: What’s your favorite cut of meat? This chart describes the 7 Top Cuts of meat and rates them for flavor and tenderness. Once you download the grill guides you’ll notice that each one is two pages. We recommend you print them, place them back to back, laminate them and keep them close to the grill.